如果想在加州買房，尤其是首購族(First time buyer)，除了現金買房，一定要先到自己常往來銀行辦一張Before buying a house, get pre-approval letter first. 5. Need your car loan or car lease statement. 6. Need driver licenses copies for both of you. 7. Please complete the attached loan application as much as you can. 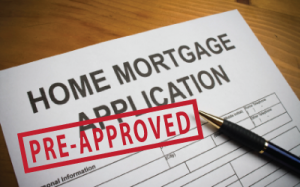 Before buying a house, get pre-approval letter first.